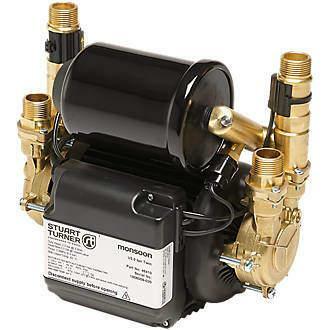 New Stuart Turner Monsoon Negative Head 2 Bar Universal Twin Brass Pump. The Stuart Turner monsoon universal booster pump is a great pump to boost water pressure in your home or business. 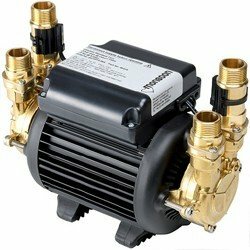 This pump is also ideal to boost water pressure to showers. 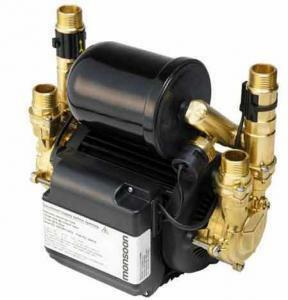 The Monsoon pump is a quite pump compared to most booster pumps on the market today. Ideal to pump hot and cold water. 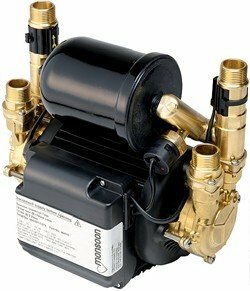 The Stuart Turner Monsoon Universal Twin brass pump is a very robust pump and can be used in in both negative and positive head situations. 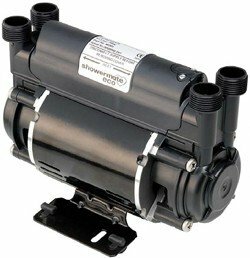 Made from high quality materials the Monsoon pump continues to be one of the quietest and most reliable water booster pumps on the market today. Suitable for open vented systems to boost both the hot and cold water supplies in the home or business. Negative or positive head: Suitable positive or negative head conditions which means this pump can be used in positive and negative situations. Includes 22mm flexible hoses (305mm) with isolation valves (push fit hoses ). Irish Models Only. Great for boosting hot and cold water to the entire home, bathroom, kitchen, Showers, Sinks. 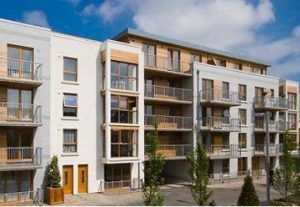 Republic Of Ireland model with 5 year warranty. 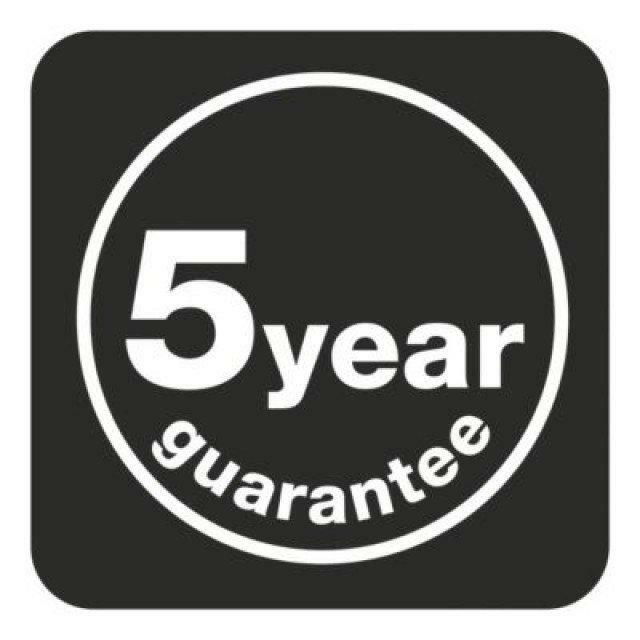 Special Offer While Stocks Last !